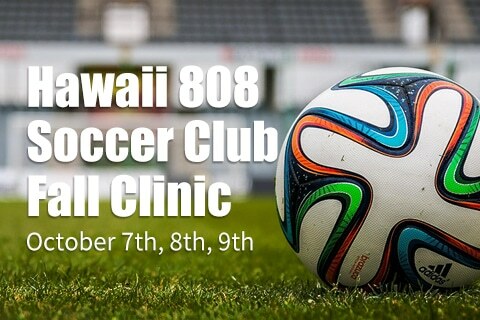 Hawaii 808 Soccer Club provides a competitive club soccer experience for boys and girls. Our goal is to develop elite youth players and provide a pathway into High School, Collegiate, and Professional level soccer. At Hawaii 808 SC, we are committed to develop each player’s full potential. We create an environment to encourage players to think about what it means to be on a team. Our players understand that their actions determine the direction the team is headed. Knowing this, the players are responsible for their own actions and how they influence the team. They share the desire to have quality practices, thus demanding the best from each other at all times and giving it their all at every practice and game. Our players understand that the team is made up of family that support the players, coaches that commit part of their lives to the club, and teammates that show up to train. Knowing this, they learn to appreciate and respect their family, coaches, and teammates for putting in time for the team. In the beginning of every practice, players greet coaches with a handshake and after every game, thank the parents for their support that day. Our goal is to develop athletes that are technically proficient, physically adept, and most importantly intelligent players. Our coaches take a self-discovering approach where players are asked to think about each play instead of acting under command. We strive to raise well-rounded players with the technical ability and mental capacity to reach their goals. Hawaii 808 SC will continue to expand its program to provide high quality player development for the growth of the game.